What's the Price for the 2019 Volkswagen Tiguan? How Many MPG Does the 2019 Volkswagen Tiguan Get? What's New for the 2019 Volkswagen Tiguan? Available in 10 trims, the 2019 Volkswagen Tiguan has one of the largest lineups in its class. Some of the exterior paint choices that you could select for this stylish vehicle include Habanero Orange Metallic, Cardinal Red Metallic, and Dark Moss Green Metallic. Powered by LED, the all-new headlights include the Adaptive Front Lighting System for optimum illumination on inclined and curved roads. The nozzles in the front windshield have heating to ensure proper operation on cold days. This family-friendly vehicle also has a power liftgate with the Easy Open and Close technology. To open or close this advanced liftgate, you simply need to give the rear bumper a kick while having an electronic key fob in a pocket or bag. The 2019 Volkswagen Tiguan offers plenty of convenient interior utilities, like levers that release the seats in the second row. With a single motion, you could completely fold and collapse the bench seats. Select models are available with the 3rd-Row Seating Package that increases the total seating capacity for seven people. Lumbar support is included in the 10-way power driver's seat, which is connected to a three-position memory system. Heated front seats and second-row HVAC vents are also available in this premium SUV. Running on the Climatronic technology, the automatic climate control system maintains temperatures in two different zones. Volkswagen has also added plenty of new high-tech amenities to the cabin of the Tiguan. For example, the Digital Cockpit could be set to the Wide Map Navigation View. If you want a traditional menu in the instrument cluster, you could select other settings that mimic analog-style gauges. The App-Connect suite is integrated into the car's 8.0-inch touchscreen. You'll easily connect your iPhone to the Apple CarPlay suite or link an Android smartphone with the Android Auto portal. Two USB data ports support universal connections for mobile gadgets, such as MP3 players. Bluetooth allows you to stream audio and handle phone calls without using hands. The all-new Discover Media infotainment console includes SiriusXM Satellite Radio. You can rock on to your favorite songs that are played by the signature Fender sound system. Also connected to HD Radio, this premium audio system emits up to 480 acoustic watts. A six-month subscription to the Car-Connect Security & Service package is included in select trims. 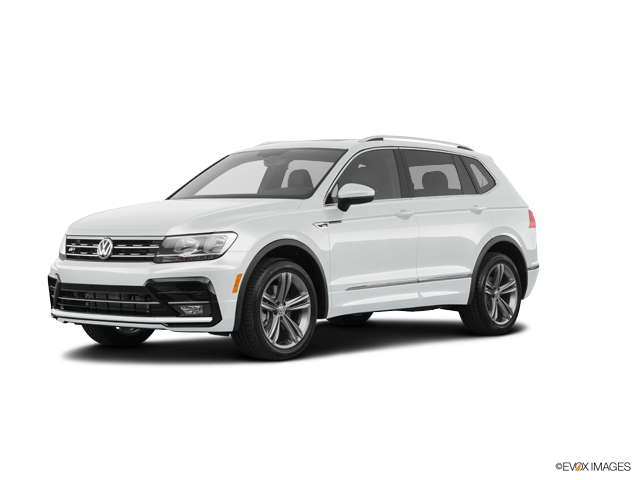 The 2019 Volkswagen Tiguan is powered by the 2.0 L TSI turbocharged engine that kicks out 184 hp and 221 lb-ft. An eight-speed automatic transmission transmits torque to the 4MOTION All-Wheel Drive. You could select the Snow, On-Road, Off-Road and Off-Road Custom modes for the responsive AWD. Additionally, the Tiptronic technology optimizes the transmission for dynamic operation on the highway. Powerful and agile, the Tiguan has an impressive highway fuel economy of 29 MPG. Volkswagen has also added some advanced safety technology to this model, such as the Pedestrian Monitoring, Park Distance Control, and Overhead View Camera. Are you looking for great deals on the 2019 Volkswagen Tiguan? Then call or visit our auto dealership today. Our selection includes the SE, SEL, SEL R-Line and other editions that are available for test drives. * Starting MSRP of $24,295 for a 2019 Volkswagen Tiguan S with 8-speed automatic transmission. Price excludes transportation, taxes, title, other options, and dealer charges. Dealer sets actual price. Model shown is a 2019 Volkswagen Tiguan SEL R-Line, which has a Starting MSRP of $33,645.